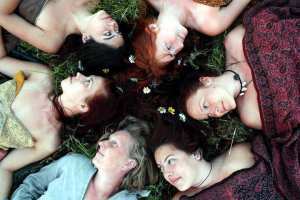 Can you feel the deep rumbling of a collective reawakening of ancient feminine wisdom? There used to exist, a more feminine way of life. A beauty way, that was guided by the hearts and wombs of women. It valued love, harmony, sisterhood, healing, singing, dancing, a connection with the Earth and more. For thousands of years there were feminine Mystery Schools that would initiate women into embodied feminine wisdom, though eventually these lineages and the knowledge they carried disappeared into the darkness. We are being called to bring this wisdom back in new ways. We have the unique challenge of weaving this wisdom into our modern and prominently masculine way of life. We see that much of humanity has lost it’s connection with our feminine qualities. There has been a deep disconnection with our bodies, the Earth, and with the very essence of life. Because of this, many lost their deeper sense of meaning and soul purpose. When we thirst for this connection, we feel lost, separate and alone. We see vast dis-ease and people trying to numb this pain of unfulfillment by various distractions and addictions. A deep healing and re-awakening is needed for our human collective. The time is now to reconnect with our roots, and the wisdom that lies within each one of us. It is time to unplug from the busy-ness, and listen to the subtle whispers of our deeper inner knowing. This voice lives in our bodies, in the Earth, and in our collective wisdom. This voice knows the way to a peaceful and thriving world. The womb is the sacred feminine vessel. It is the seat of our wisdom and intuition. It is where we create from and where all of life begins. It is connected to the moon, nature’s cycles, and to the wombs of other women. Have you noticed that when you are close to other women, you will start bleeding at the same time? 2. Get to know and love your cycle. Your period is a gift that connects you to your deepest feminine wisdom. It connects you to Nature’s cycles and to the female collective. It is a powerful asset that has gone shunned and ignored. When we are menstruating we are most powerful, sensitive, and psychic. It is here where we can hear the voice of our inner guidance and of our creative inspiration. 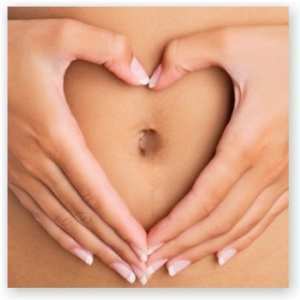 On our cycle we are shedding our uterine layers, and releasing what no longer serves us. It is an opportunity to rebirth ourselves, and to begin a new chapter with new found clarity and inspiration. You can get to know and love your cycle by being open to what it has to teach you. You can start a Moon Log, and begin journaling about your cycle. You can note how you feel emotionally, physically throughout the month. You can jot down messages you receive while you bleed and practice acting on them. Be open to the gifts it has to give you and challenge any fears or judgments that have come from societies limited perception of it. 3. Listen to the Earth. We are daughters of the Earth. Native Americans did not forget this truth. MOTHER Earth is our life-line, and she IS feminine wisdom. She is beauty and abundance. She is fierce and nurturing. Raw and real. Ever had a rough day, then went outside and felt way better? We come back to ourselves when we spend time in Nature because we are a part of it. Modern life is full of to-do lists, distractions and technology. It can take effort to carve out the space to just be outside, but it is well worth it. I receive all of my best ideas and incites when I am outside. I remember who I am and then I bring this into the rest of my day. 4. Develop your creative language. We are Creators at our very core. We are designed to birth new things. If we are not being creative, we are simply not being ourselves. Ancient women spent time singing and dancing in priestess temples, creating art and making love. Every woman has her own feminine language. Explore what inspires you most and make time for it. For me it is dance. When I dance, an ancient feminine essence moves my body, and fulfills me in a way nothing else in this life has. Be open to what wants to move through you and have the courage to express it. It is easy to forget our feminine power and wisdom when we feel alone. When women gather for a deeper purpose, the satisfaction is undeniably potent. This doesn’t mean go shopping and gossip about the latest celebrities or hitting up happy hour and picking up on men. This means coming together to share deeply and authentically, and supporting one another to rise into our full power. It means to look our fear, jealousy and judgments in the eye and dismantle them one by one, with love. Ancient women would gather as a way of life and we are being called to revive this way. When women gather, they remember they are a part of a beautiful and powerful female collective that is unstoppable. Naia Leigh is a Freedom Coach and Creator of the Boundless empowerment system. She is a pioneer in encouraging women to reestablish feminine leadership in the world. Her work is centralized around reclaiming the passion, power and pleasure of womanhood. Her transformative coaching and workshops reawaken the remembrance of our Divine beauty and power as women. They are safe and sacred containers for women to connect, heal, and transform together.Naia experienced a deep emotional and physical healing journey that equipped her with wisdom and tools that can inspire and empower women, wherever they may be on their path. This healing journey lead her to spend two years in Kauai, Hawaii working in the field of energy psychology where she co-developed a new breakthrough healing modality, now called Boundless. These tools and techniques are woven into her work, in addition to intuitive guidance, therapeutic processes and sacred empowerment rituals. To clear blocks to your fullest passion and power, Click Here to schedule a complimentary Freedom Coaching Introduction call with Naia. Visit NaiaLeigh.com for more info.